White Quartz bathroom counter with undermount square sink. 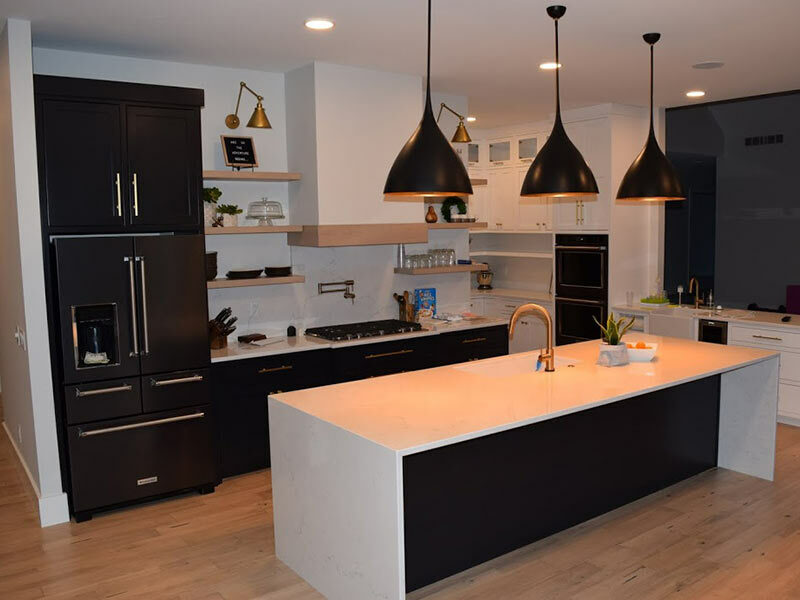 Piatra Grey Caesarstone Quartz kitchen counter and island. 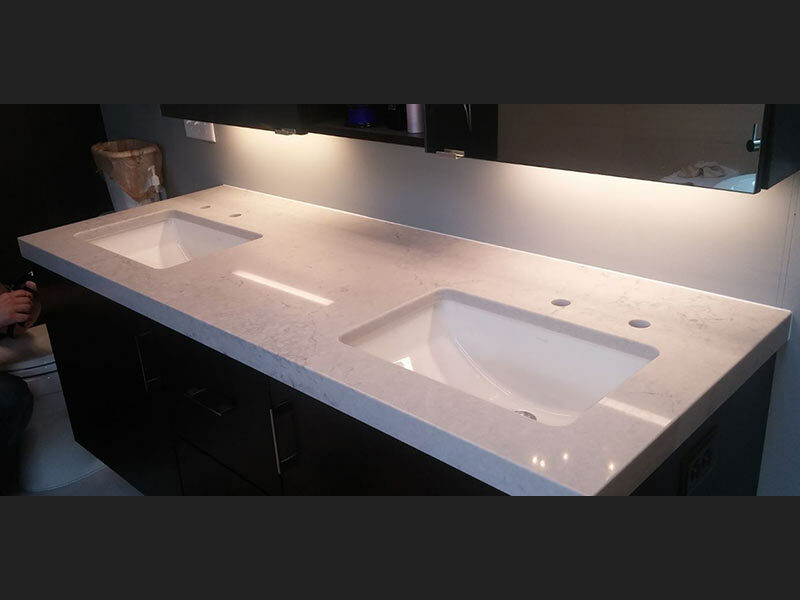 Eggshell Quartz bathroom counter with double sinks. Kahlua Brown Quartz, by Hanstone, kitchen counter with white cabinets. 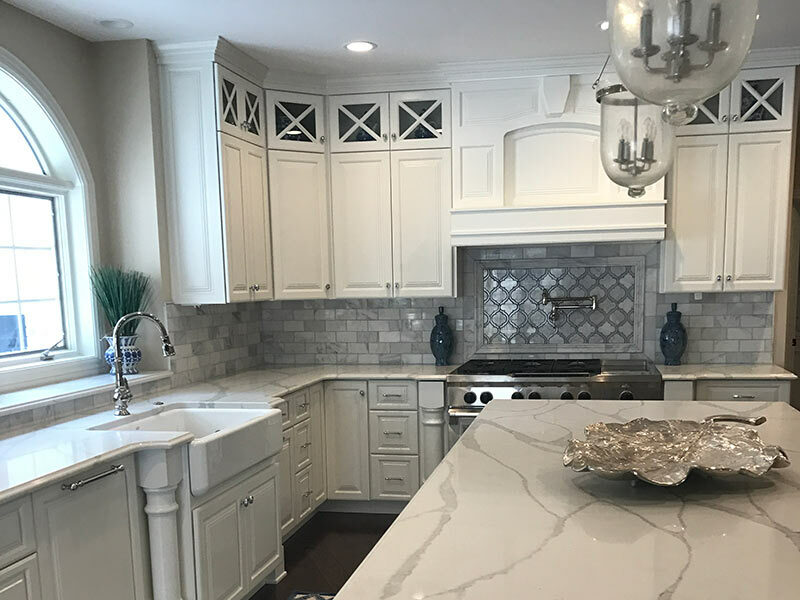 Gray and white quartz counter over white cabinets. 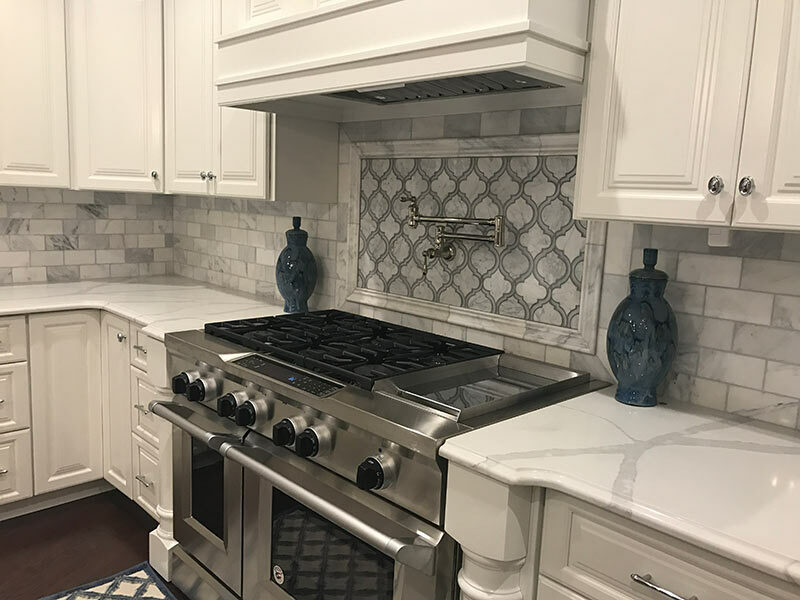 White Quartz looks great with the white brick back-splash and white cabinets. 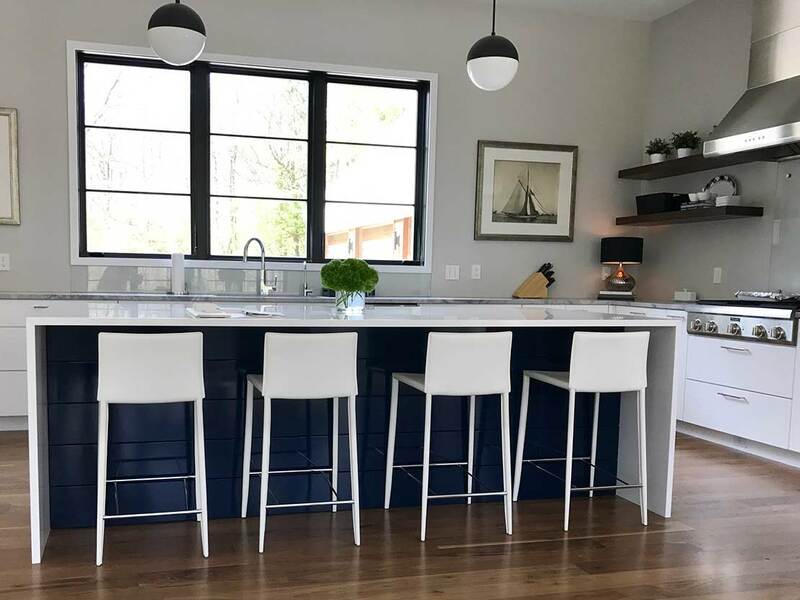 Coastal Grey Quartz over white cabinets. 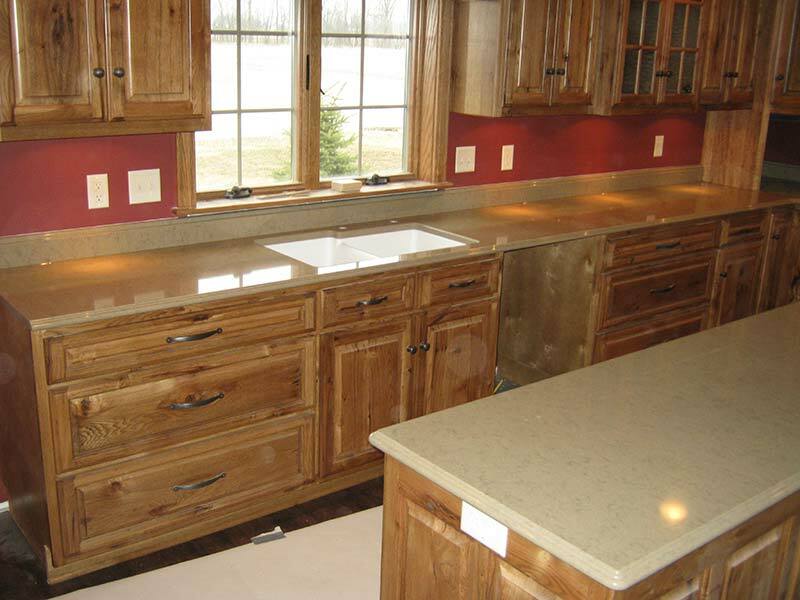 Liscia Quartz looks great with knotty pine cabinets. 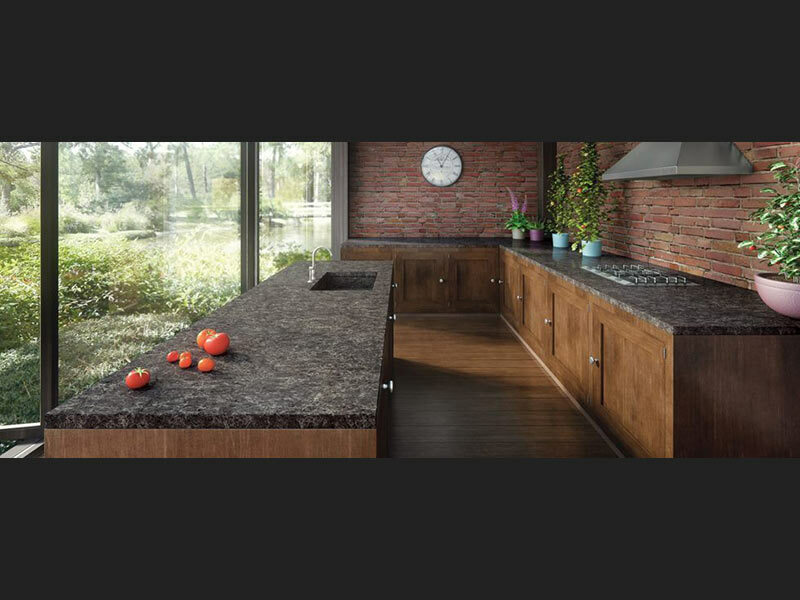 Bavaria Quartz, by HanStone, kitchen counter over dark brown wood cabinets. Quartz kitchen island surround by white cabinets and earthtone walls. 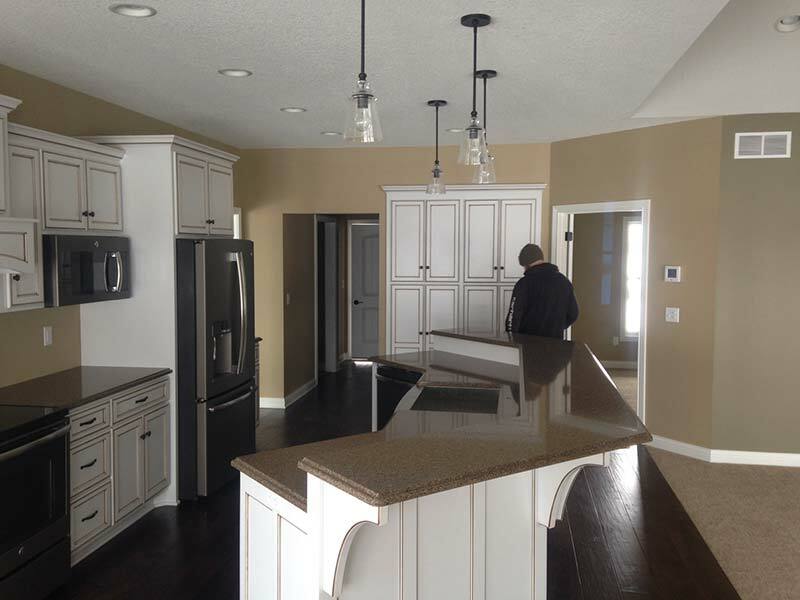 Gray Quartz kitchen counters and island mixed with medium oak cabinets. White Quartz kitchen counter is bright white kitchen. 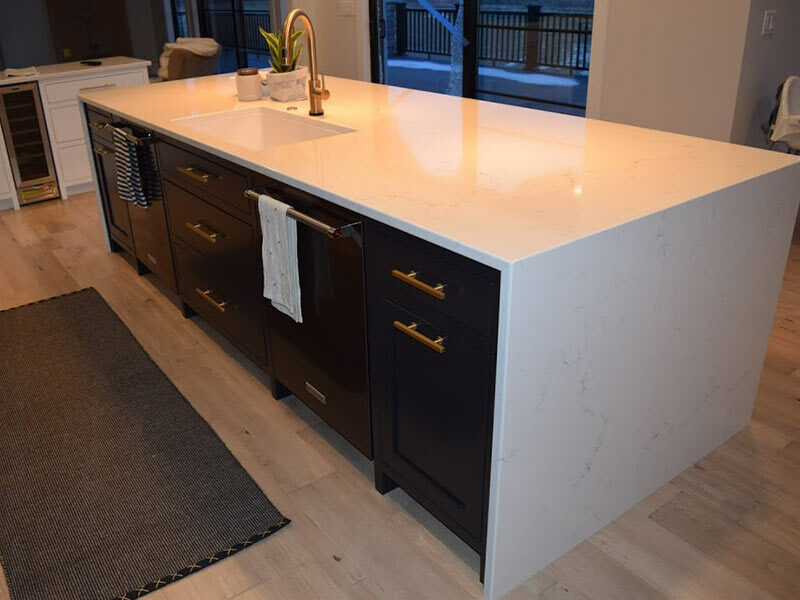 Symphony Quartz kitchen Island and Counter. 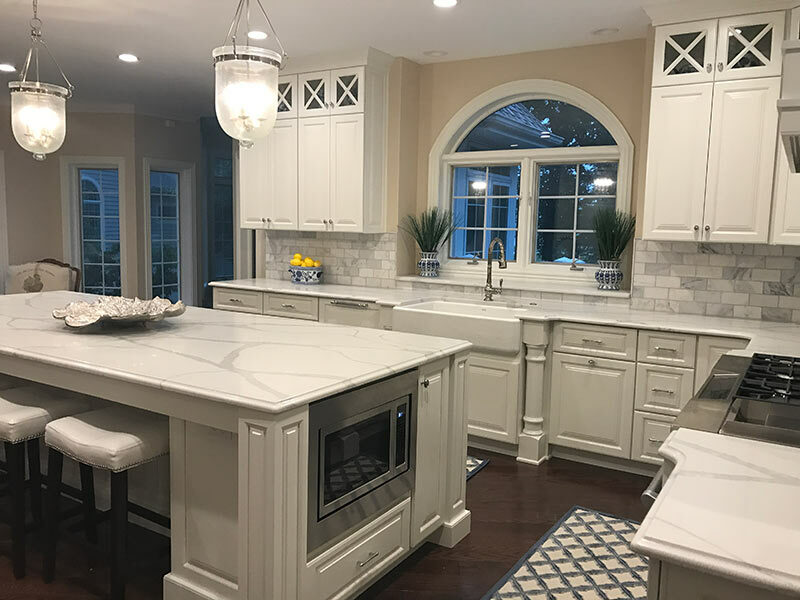 Rococco Quartz kitchen counter and island. Pietra Gray Caesarstone Quartz counter with double sink over off white stained cabinets. 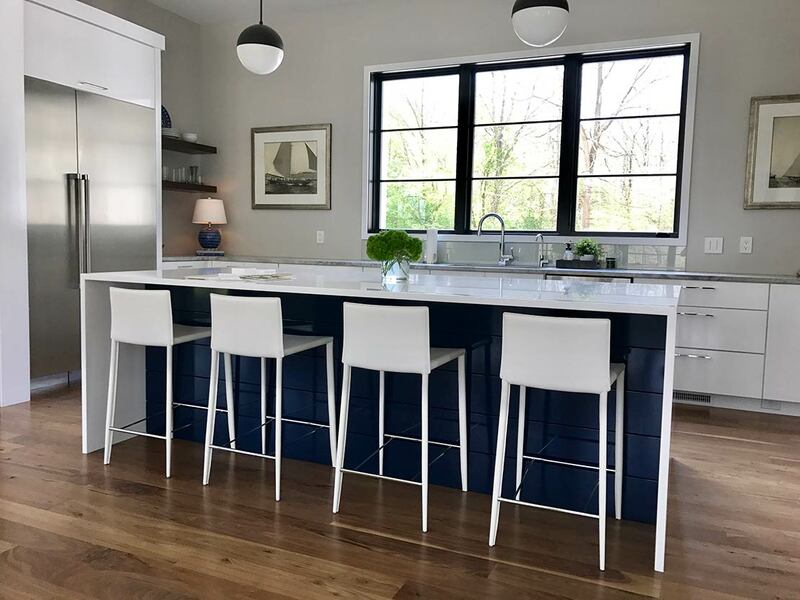 Coastal Gray against Golden Ash cabinets. 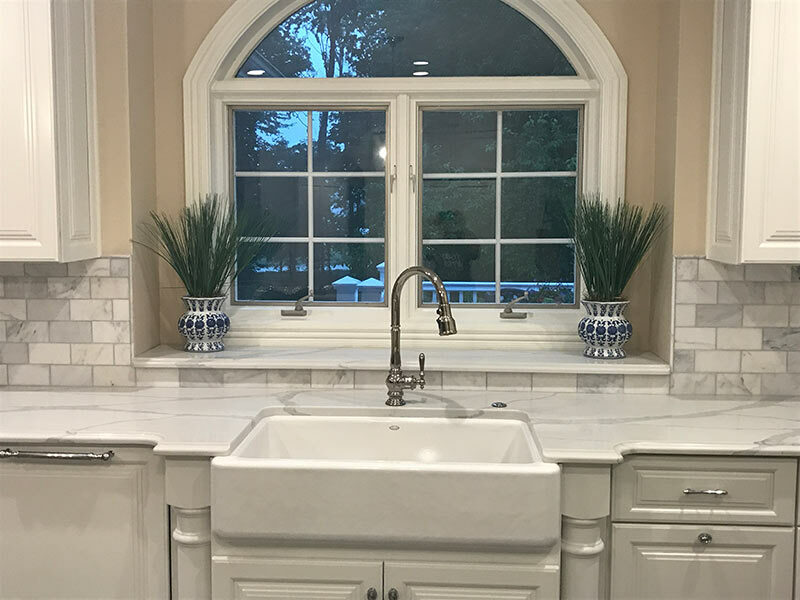 White on White with Frosty Carrina counters. 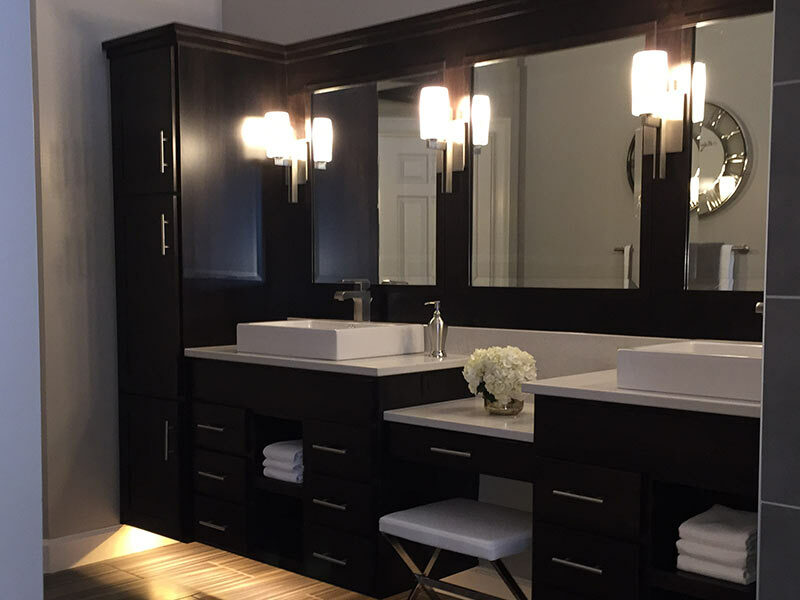 Brown Quartz with rich brown bathroom vanity. Royale Blanc Quartz Island with waterfall leg. 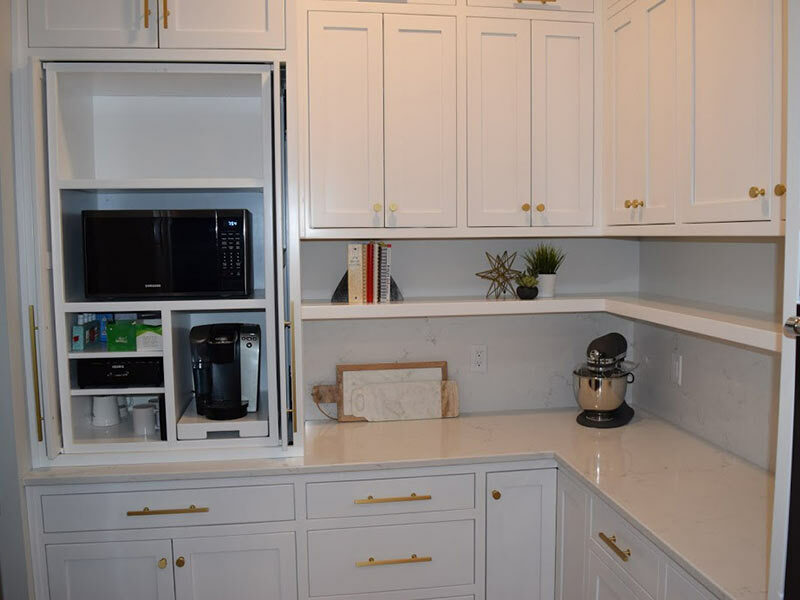 The counter tops are Honed Superwhite Marble. Check out the water fall legs on this Royale Blanc Quartz island! 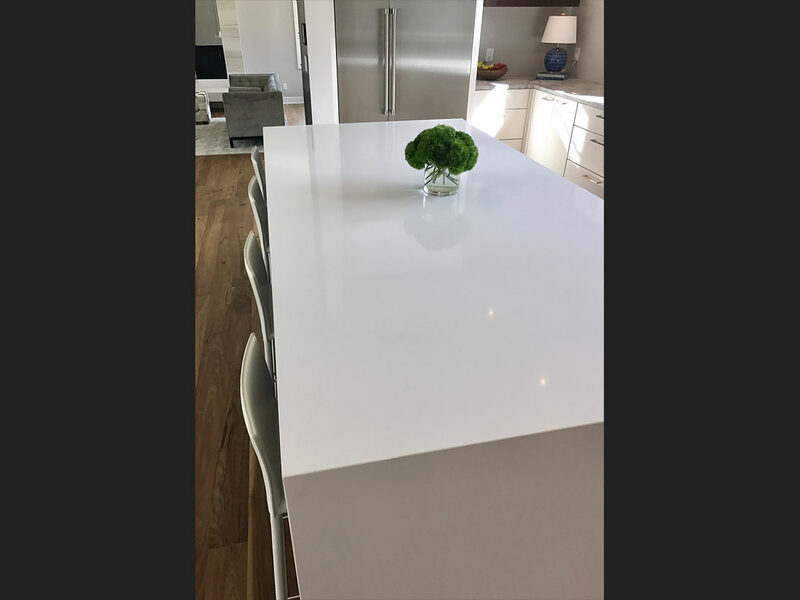 Crisp, white, and contemporary white quartz island with water fall leg. London Gray Quartz bathroom counter with double vessel sinks. 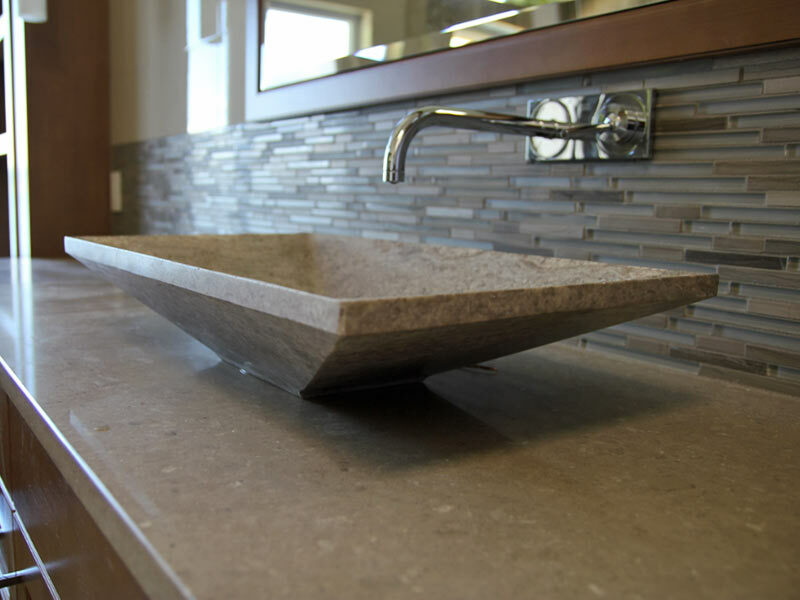 Noble Gray Quartz bathroom counter top with double sinks. Calacutta Nuvos Quartz kitchen island. Shitake Quartz bathrooms counter with matching vessel sink.